“A Scrupulous Historian and Churchill Biographer,” Originally published on February 4, 2015 in The Wall Street Journal. The Duchess sailed on safely, past the icebergs of Labrador, “marvelous for children to behold [and] among my first memories,” Gilbert wrote. Soon after, another boat with 77 children evacuees was sunk by the Germans, drowning them all, and the scheme was abandoned. In summer 1944, Winston Churchill—who from the start had disliked the idea of sending British children overseas, calling it a “scuttle”—arranged for many of the young evacuees, including Gilbert, to return aboard an American troopship from New York. Churchill specifically asked the Admiralty to make sure, amid other responsibilities in the aftermath of the Normandy landings, that there be enough life jackets for the extra children. 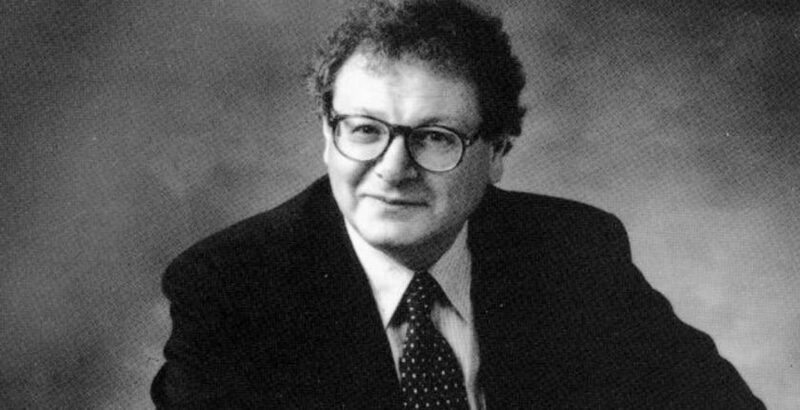 So began the life of Sir Martin Gilbert, who died at age 78 on Tuesday in London. He is best known as Churchill’s official biographer. He served as adviser to Prime Minister John Major and was soon after awarded knighthood in 1995. The Churchill biography is a thing of magnificence. It is the largest biography ever written, befitting one of the largest lives ever lived. It is now 25 volumes and more than 25,000 pages, with six document volumes that Hillsdale College, in Hillsdale, Mich., has been tasked with completing in his absence. Churchill was prolific: hundreds of speeches, 50 books, and thousands of articles, memos and official minutes. Thus, Gilbert’s biography is monumental. To do this work, he had the “treasure trove” of the Churchill archives, traveled to public and private archives throughout Britain, and corresponded with hundreds of Churchill’s contemporaries, many of whom became his friends. Gilbert utterly rebelled against the view that the facts of history change with time. In this way he agreed with the classics. He wrote the biography faithfully, from primary-source materials and with the greatest care to tell the story as it happened. Gilbert’s stewardship is significant, as Churchill is a man of our time and one of its greatest blessings. I was privileged to work as research assistant to Gilbert on the biography in the 1970s and continue as his friend and colleague afterward. For years I witnessed and wondered at the care and energy he put into his work. He desired original sources, nothing less. “You must get everything. We must have it all here,” he once told me. I have never known anyone so tireless in his vocation. Once he was stricken with Bell’s palsy, which paralyzed part of his face, yet he worked regardless, the same hours, holding his pen in one hand and in the other a handkerchief pressed against his mouth to keep it closed. Gilbert’s Oxford tutor, the historian A.J.P. Taylor, told him in 1960 that “if you go in for historical research, you will work for weeks on end and find nothing.” Gilbert was persevering and fierce, but his manner never so.